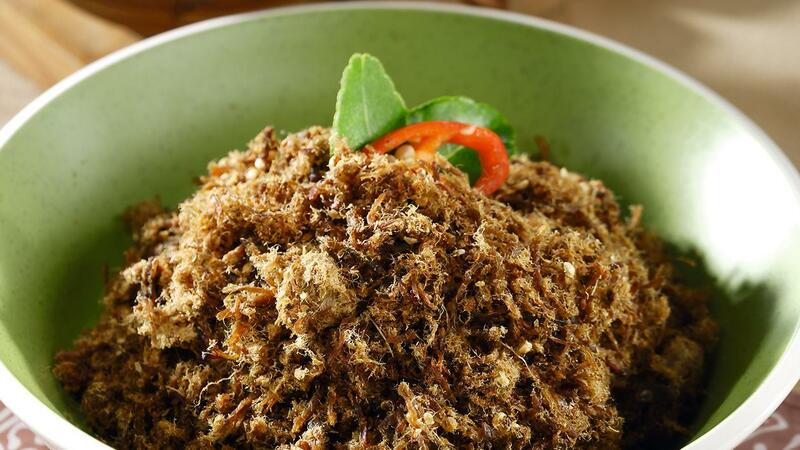 A crispy beef with a strong aroma of spices will be the best side dish at lunch. Boil the meat in water with lime leaves, bay leaves, and lemon grass leaves to permeate the meat tender. Finely-shredded the meat. Set aside. Heat the oil. Saute until fragrant. Enter the shredded meat, cilantro, salt and brown sugar. Stir well. Pouring Bango Sweet Soy Sauce. Stir until the meat is wrapped in soy sauce. Pour the coconut milk. Stir until slightly dry. Fry shredded meat to dry, squeeze and let cool.